Xbox One Elite Controller Review: Is It Worth It? Life is Strange has been one of the most pleasant surprises of the gaming year to this point. Now Square Enix and Dontnod Entertainment have released the season's final episode and it sadly isn't able to live up to the lofty expectations set by its previous chapters. Our review. 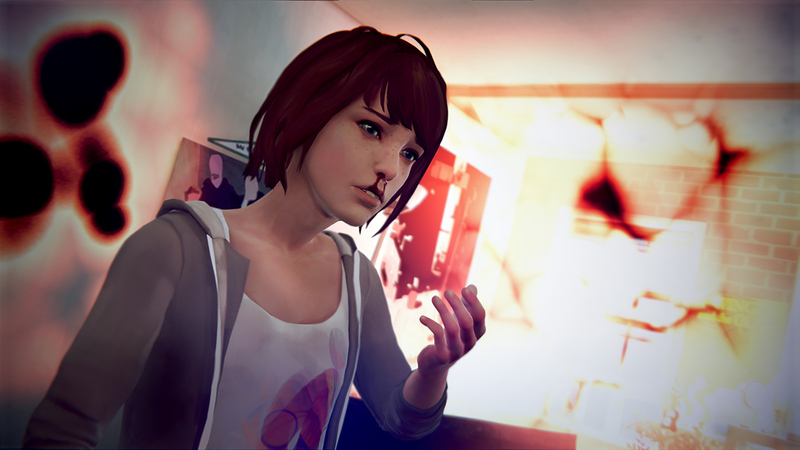 The following impressions completes our ongoing review of the full Life is Strange series. Be sure to catch up with our impressions for Chrysalis, Out of Time, Chaos Theory, and Dark Room. Life is Strange has quickly cemented itself as one of the most pleasant surprises of this gaming year over its first four episodes, right down to a cliffhanger that had players at the edge of their seats. If Square Enix and Dontnod Entertainment could follow through with a satisfying finale, it would stand as among the best games of the year. Unfortunately, like the storm it had ominously foreshadowed since the first episode, Life is Strange is ultimately crushed by the weight of expectations and what has turned out to be a mediocre final chapter. For the most part, Life is Strange was illustrating the oddities of growing up as a teenager. It introduced the kind of high school angst and drama that many people endured during those four years. In this finale, however, the time for high school drama is over. The story is no longer so much about growing up, but about the resolution of a full-blown murder mystery. There's no way around it, the dialogue gets downright uncomfortable at several points. Considering the nature of the person that's delivering it, that's normally a plus, but the Unreal Engine animation kills a lot of the tension of the episode's early scenes. It's hard to take a villain's psychotic monologue seriously when the animation only delivers a single flat facial expression. The most intriguing mechanic has been, and remains, the ability to rewind time and adjust certain dialogue selections to fit a situation. However, in Polarized, that comes into play a lot less. The object isn't so much to solve problems with words, it's to use Max's powers in other ways to get out of precarious situations and eventually set things right before the Arcadia Bay storm hits. 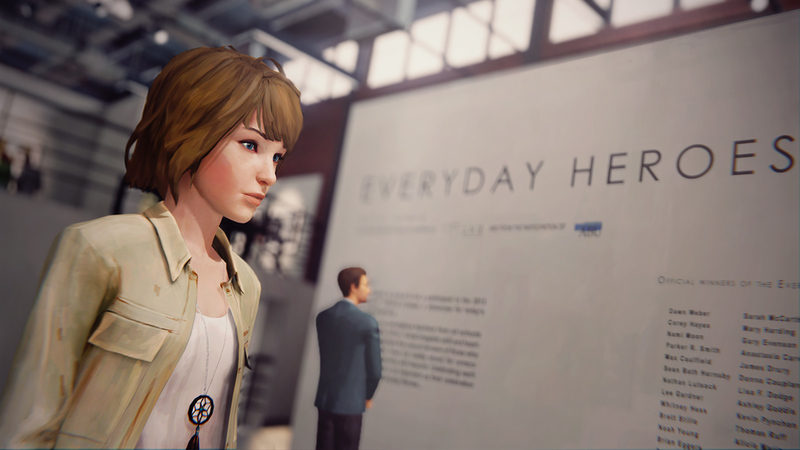 Since the beginning of Life is Strange, the fear that the plot would collapse in on itself through its Butterfly Effect theme was looming in the distance. Yes, kind of like that tornado that was threatening Arcadia Bay for the entirety of the game. For the first four episodes, Life is Strange was capably able to introduce new mechanics to help keep this concept fresh, while simultaneously introducing new twists to the plot. Polarized gets a little too carried away with some of these ideas, such as the one that involves focusing on a photograph to turn back time. Not only does this mechanic feel like it's overused, but it ultimately causes the plot to completely unravel. We'll touch on that in just a second. The climax that sees Max confronting the storm leads to a wildly whacked out sequence that just drags far too long. Without spoiling too much of what happens, the sequence involves Max confronting most everything that's haunted her since the beginning of the story. It sprinkles in certain gameplay elements, as well. Some of those are welcome, like the stealth sequences; others, like the bottle-fetching objective that proved so aggravating in Out of Time, not so much. The more Max continues to jump from crazed trip to wild fever dream, the more it eventually just had me wondering when the game would just cut to the chase. Then there's the resolution, which gets even more difficult to discuss without spoilers. But let's just say that the path Max had taken throughout the episode was proving fruitless and only leading to more problems, greater disaster, and more devastating consequences. What's the ultimate solution? Just do that same thing one more time. Why would it work any better this time? It honestly felt like the answer was simply, "Because reasons." To say this was a disappointing way to wrap up one of the story's most intriguing plot lines is an understatement. Through four episodes, Life is Strange proved innovative with its take on the point-and-click style of adventure game and also heartwarmingly captivating with its story. The former remains true, even as the series reaches its conclusion with Polarized. Even if it utilizes the "trial and error" dialogue a little less this time around, it's still used exceptionally well across the whole series. If nothing else, Life is Strange should be experienced for this novel addition to the point-and-click adventure. Even the characters, who I've grown to become greatly attached to, got the character moments they deserved, for the most part. But the ending doesn't strike a sour note because of what happens to the characters. I'm fine with the endings for Max, Chloe, and everyone else. It disappoints because of the path the game took in getting there. The ultimate result is a letdown and it leaves a sense that Life is Strange could have been such a more memorable experience than it was. This review is based on a PlayStation 4 code provided by the publisher. Life is Strange is available now on PC, PlayStation 4, Xbox One, PlayStation 3, and Xbox 360 for $19.99 for all five episodes. The game is rated M.
Ozzie has been playing video games since picking up his first NES controller at age 5. He has been into games ever since, only briefly stepping away during his college years. But he was pulled back in after spending years in QA circles for both THQ and Activision, mostly spending time helping to push forward the Guitar Hero series at its peak. Ozzie has become a big fan of platformers, puzzle games, shooters, and RPGs, just to name a few genres, but he’s also a huge sucker for anything with a good, compelling narrative behind it. Because what is video games if you can't enjoy a good story with a fresh Cherry Coke? Follow him on Twitter at @Ozz_Mejia for musings and random shenanigans. Copyright 1996 - 2015 Shacknews LTD.